If you are looking for a company that offers a wide range of waste removal services then this is the right place as Easy Go Skips Hire can effectively enable you to manage a substantial amount of rubbish. We cater to customers located in E15 Stratford and supply a range of cheap skips for hire that are suitable for both residential as well as commercial waste removal jobs. All our services are committed to de-cluttering your surroundings and provide a clean and fresh environment. Our skips are available in different sizes and are well maintained with same day or next day delivery services. With us, you can be assured of high quality services anywhere and we use latest technologies and tools so that the entire process from collecting the garbage, dumping and recycling is done in an environment friendly. All our dumping grounds are licensed and are suitable options to prevent any negative effects of garbage. It is our years of experience in the waste management industry that our experts can guide you to select the best skip hiring solution and estimate the amount of garbage that needs to be removed. What Easy Go Skips Hire offers? Mixed and light garbage: We offer skip bins for collecting household and green waste that includes, wood, plastic, branches, fence clippings, furniture and etc. Heavy Garbage: Our skips can be hired for solid garbage that includes items like concrete, bricks, tiles, soil and etc. 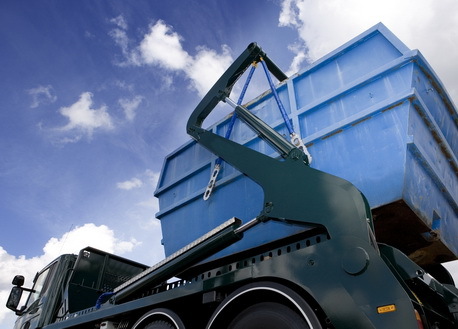 Commercial garbage: Our skips can also be used to dispose electronic wastes, metal scraps and etc. that can be recycled or reused. Our continuous growth in the waste management industry is the result of our constant focus on customer service and keeping the environment clean. With us, people located in E15 Stratford can now enjoy convenient, affordable and reliable skip hire services for their varied needs. So instead of wasting time, send us your queries and we will be there to help you dispose your garbage!